This post, next in our series of posts profiling June in Buffalo faculty composers, introduces the work of Jeffrey Mumford. Currently Distinguished Professor in the Division of Arts and Humanities at Lorain Community College, Mumford has accumulated an exceptional list of accolades, such as grants and awards from the Guggenheim Foundation, American Music Center (now part of New Music USA), Ohio Arts Council, ASCAP Foundation, Meet the Composer, American Academy of Arts & Letters, Fromm Music Foundation, Amphion Foundation, and McKim Fund (Library of Congress), and performances by orchestras such as the National Symphony Orchestra, Minnesota Orchestra, Atlanta Symphony Orchestra, Cleveland Orchestra, Saint Paul Chamber Orchestra, Cincinnati Symphony Orchestra and American Composers Orchestra. This year’s June in Buffalo festival will feature performances of three works by Mumford: a garden of flourishing paths (2008) for mixed quintet, the promise of the far horizon (2002) for string quartet, and verdant and shimmering air: four views of a reflected forest (2007) for orchestra. The composer will also give lecture on his music and give masterclasses to participant composers. A garden of flourishing paths, striking in its approaches to harmony and texture, offers a compelling introduction to his music; a recording of the work is available here. While the work’s pitch language recalls numerous high modernist characteristics—its emphasis on tonally dissonant intervals, wide leaps, and pitch collections not reducible to a single diatonic scale—it subtly references tonal idioms, and cultivates a remarkable tension between modernist atonality and historical tonality. In the midst of the music’s overall chromatic flux, diatonic collections come subtly into focus, pulling pitches into their gravitational field, and establishing local islands of stability, as in the alternating B minor and G minor orientations of the work’s second movement. This activates a fascinating ambiguity in pitches’ functions: sometimes pitches are caught up into tonal hierarchies of scale, chord, and pitch center, and sometimes pitches are simply a singular, unrepeatable event accorded no more or less weight than surrounding pitches. Mumford pulls off this difficult balancing act with astonishing finesse. It would be easy for the tonal connotations to submerge into the dense detail, and, conversely, it would be even easier for tonal gravity to emerge as something of a “bully,” altogether wiping out the functional weight of non-diatonic pitches. However, the composer does not succumb to either pitfall: the tonal connotations are clear but not heavy handed. In other words, the piece’s engagement with tonality does not simplify or conventionalize its pitch language, but rather increases its dimensionality, as tonality enters into dialogue with other modes of listening. In its approach to texture, the work achieves a similarly sophisticated dialogue between modernism and historical Western art music. In the first movement of a garden of flourishing paths, the music straddles the boundary between Darmstadt-school style pointillism and traditional counterpoint. The rapid succession of notes discontinuous in register and timbre recalls the former, while each instrument’s occasional coalescence into continuous, rhythmically regular sequences of pitches recalls the latter. As with the music’s approach to pitch, this dialectic asks listeners to negotiate between incompatible modes of listening: there is never a definitively “correct,” objective standpoint from which to listen. Dialectical oppositions pointillism/counterpoint, tonality/atonality, and, perhaps additionally, melodic figure/physical energy create a rich interplay of surface and depth, of expectation and realization in this texture. Perhaps this multi-dimensionality embodies the “flourishing paths” of the work’s title. To learn more about Jeffrey Mumford’s work, check out his website (with numerous recordings in the “Works and First Performances” section), read interviews with him, and check out his recent talk about diversity and inclusion in new music. The Center for 21st Century Music welcomes guest composer Hilda Paredes later this week for a masterclass and lecture with graduate composition students. Her visit coincides with the Arditti Quartet’s residency at the Center, during which the quartet will give a concert featuring Paredes’s 2014 piece Bitacora capilar (Capillary Log). More detail about the Arditti Quartet residency is available on a past post on this blog. Paredes is one of the leading Mexican composers of her generation. Based in London since 1979, her music has been recognized with awards from the Arts Council of Great Britain, the Rockefeller Fund for Culture Mexico/USA, the Guggenheim Foundation, and the Sistema Nacional de Creadores (FONCA), performances by ensembles such as the Arditti Quartet, Aventure, Court Circuit, Ensemble Modern, Ensemble Recherche, Ensemble Signal, Ensamble Sospeso, London Sinfonietta, Lontano, Neue Vocalsolisten, Ensamble Sospeso, L’Instant donné, London Sinfonietta, Lontano, and the English National Opera, at festivals such as Huddersfield, Edinburgh, Eclat, Ultraschall, Musica, Wien Modern, Akiyoshidai, Takefu Festivals, Archipel ans Music monat, Warsaw Autumn, Ultima, Melbourne, Ars Musica, and Festival Internacional Cervantino. She has been visiting professor at the Escola Superior de Música de Catalunya en Barcelona, and in 2007 was Darius Milhuad Visiting Professor at Mills College, a prestigious position previously held by Pauline Oliveros, Roscoe Mitchell, George Lewis, Gordon Mumma, and Alvin Curran. Paredes’s piece Revelación (2010-2011) for ensemble offers a clear introduction to how the composer approaches material and form. The excerpt above thematizes a dialectic between a linear, accumulative harnessing of kinetic energies on a local level and a paratactic, non-directional succession of contrasting panels on a global level. The opening panel (0:00-1:41) presents an increasingly directed accumulation of melodic mobility. By 1:41 the energy disperses, and in a seemingly unmotivated yet entirely convincing transition, a cross-fade of sorts, the staccato texture of the second panel enters. As a musical space, the second panel is entirely “other” to the first panel, building kinetic energies from isolated gestures of pure physicality (i.e. a bouncing violin bow) rather than from melodic figures. The second panel is in no way an “organic” outgrowth of the first; it is wholly exterior to it, punctuating and relativizing it, dispersing and redirecting its energy; the revelations of the title might be connected to this temporal experience. To this listener, the subtle sleight of hand through which Paredes traces convincing local continuities between seemingly disconnected objects is a strikingly successful feature of this piece. Her strategy of connecting disparate musical spaces by maintaining rhythmic momentum links her work to her former teacher Franco Donatoni, but the strategy is applied in a wholly personal way. The combination of goal-oriented local syntax with a discontinuous, non-goal oriented global syntax lends the former—despite its conventionality within the past three centuries of Western art music—a distinctive and unexpected weightless. The conventionality of local materials and syntax is put in quotation marks as their formal frame emerges, lending them a surprising freshness. Far removed from, say, the driven expressionist pathos of Ferneyhough or Rihm, the gestures of Paredes’s piece coalesce into linear accumulations only to evaporate, forgetting their identities and reformulating into something wholly new. To learn more about her work, check out her website, with numerous links to recordings, and also have a look at the numerous videos of her work available online. The Center for 21st Century Music welcomes the Arditti Quartet for a concert and workshop March 30 and 31. Founded in 1974, the quartet is arguably the most acclaimed string quartet in new music. The group has received a myriad of accolades. For their discography of over 200 albums, they have received multiple Gramophone (“Grammy”) Awards and Deutsche Schallplattenpreisen, and a Coup de Coeur Prize and Grand Prix from the Academie Charles Cros in 2004. The group has played at most major new music festivals worldwide, and is the only ensemble to receive the Ernst von Siemens Prize for lifetime achievement. The quartet has frequently visited UB over the past few decades, and has forged a particularly close collaborative relationship with the Center’s director, SUNY Distinguished Professor David Felder, whose three string quartets were written for and premiered by the group. However, to understand the quartet’s project in terms of traditional kinds of institutional validation does not quite do it justice. Beyond recognition for its concerts and recordings, the quartet has played a crucial role in keeping the string quartet alive as a significant medium for music making. When the group emerged in the 1970s, it appeared that the string quartet was on its way to becoming an obsolete instrumental combination like the viol consort or Baroque trio sonata ensemble. In the years after WWII, all aspects of the canon of Western art music were viewed with suspicion, particularly by younger European composers; in this context, the ensemble’s roots in the European Enlightenment, its connotations of rational intersubjective discourse, and its instruments’ association with particular constructions of subjective expression, led most forward-thinking composers to avoid writing string quartets in the decades after WWII. It was due to the efforts of the Arditti Quartet—alongside the LaSalle, Berner, and Kronos Quartets—that composers returned to the medium with increased interest. The Arditti’s cultivation of new repertoire for string quartet depended on close collaborative relationships with composers. Often the group collaborated with senior composers who were writing their first significant works for string quartet, resulting in works such as Iannis Xenakis’s Tetras, featuring restless glissandi and frenetic bowing, Karlheinz Stockhausen’s Helicopter Quartet, where each player plays from their own airborne helicopter with audio transmitted to a concert hall, and Conlon Nancarrow’s String Quartet no. 3, the belatedly-recognized composer’s attempt to translate the hyperactive polyrhythms of his player piano studies into the quartet medium. The Ardittis attracted a similar level of attention for their collaborations with younger composers. 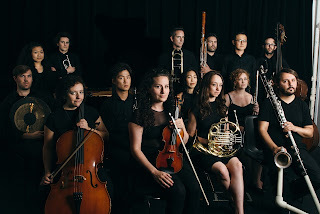 In collaborating with Brian Ferneyhough—a faculty composer at this year’s June in Buffalo—the group played a key role in formulating a performance practice for his extremely difficult music, creating strategies for navigating its multi-layered notational detail and instrumental physicality. In working with Helmut Lachenmann on his second string quartet, the quartet built on the Berner Quartet’s earlier work, codifying and expanding a palette of extended playing techniques now widely known to composers and performers alike. The list of works premiered by the quartet is massive, ranging from senior composers of the 1970s to current PhD students. Later in 2017, the quartet’s founder and first violinist Irvine Arditti will return to Buffalo as a guest soloist at June in Buffalo. Also renowned as a soloist, he will give a solo recital featuring works of David Felder, Henrik Hellstenius, and Roger Reynolds on June 8th. 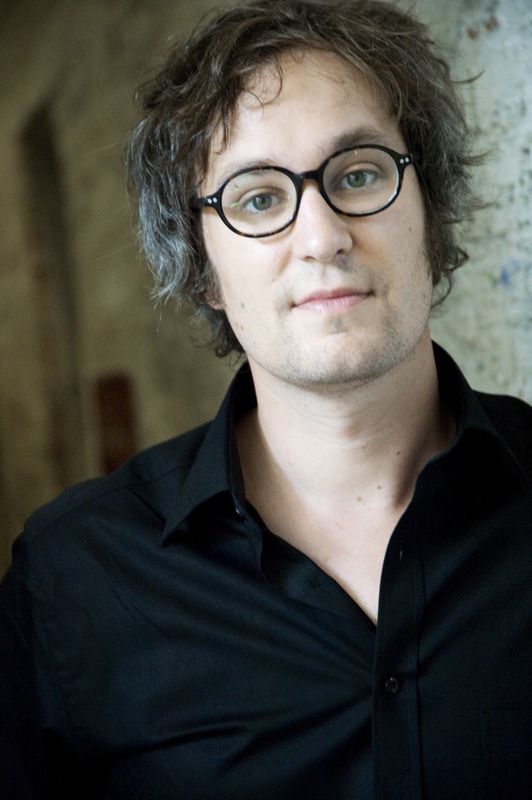 On June 10th, he will join Ensemble Signal, conducted by Brad Lubman, for Brian Ferneyhough’s Terrain and parts of a new violin concerto by David Felder. This week the Center for 21st Century Music welcomes guest ensemble ENSEMBLE MISE-EN for a concert and workshop. The ensemble is a NYC-based collective of young performers, founded in 2011 and led by composer Moon Young Ha. The group’s name originates from Korean words--mee (beauty) and zahn (decorate)--and crystallizes the ensemble’s focus, as a “multi-national personnel…unabashedly promotes 'beautiful' artwork to increasingly diverse audiences.” In a short six years, Mise-En has quickly established itself, with performances at le poisson rouge, Bohemian National Hall, Italian Academy, Tenri Cultural Institute, a residency at the cell, and partnerships with Washington Square Contemporary Music Society, International Alliance for Women in Music, Austrian Cultural Forum New York, Open Meadows Foundation, New York University, New York Foundation for the Arts, I-Park, Goethe-Institute Boston, Villa Gillet and others. In addition to these guest appearances, the ensemble has also presented its own events, often at its own space, MISE-EN_PLACE, opened in 2014 in Brooklyn. Noted by the New York Times for “examining unusual corners of the composition world,” a common thread Mise-En’s events is advocacy for under-recognized composers and alternative canons. Mise-En’s portrait concerts have featured the work of Franco Donatoni, Sofia Gubaidulina, Edison Denisov, and Claude Vivier--highlighting alternative modernisms--and have introduced American audiences to European composers such as Bent Sørensen and Wolfgang Mitterer. 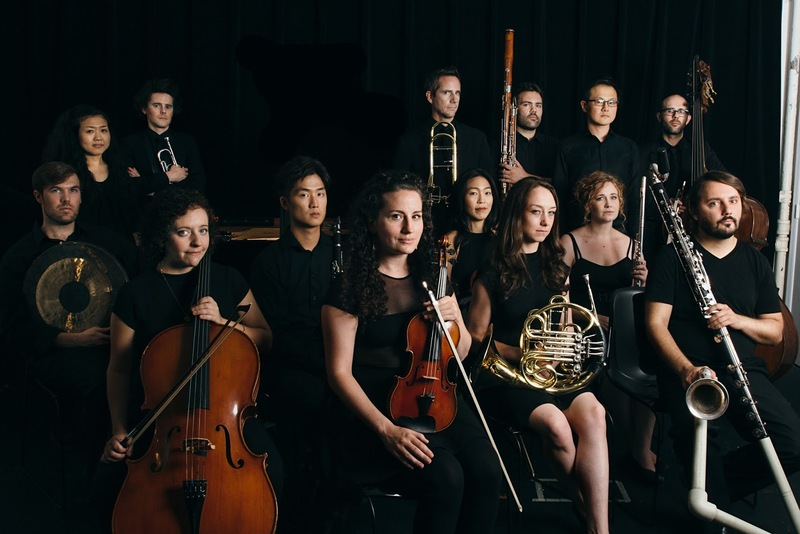 Along similar lines, the ensemble’s “Connections” series explores unexpected commonalities between works across differences in geography and age. Finally, Mise-En’s eponymous annual festival is unique in the contemporary music landscape for its focus on an impressively international group of emerging composers. While at UB, the group will present a workshop of new works by UB PhD students together with a concert of works from the ensemble’s repertoire. The concert features five works written by emerging composers in the past two years plus an older work by a senior composer. Robert A. Baker’s all the lights are gathered in your eyes might be described as reliefs, counterposing materials with highly contrasting energies; an excerpt of the piece is available here. Sergio Augusto Cote Barco’s Rand (see above for recording) begins with similarly stark contrasts, which loosen as the piece unfolds. In contrast to the discontinuities and contrasts of the latter two pieces, Anna Meadors’s Flight and Fredric Rzewski’s Moonrise with Memories explore varieties of regular rhythmic pulsation and repetition. Rzewski’s piece features a melodic bass trombone solo accompanied by six unspecified instruments playing repetitive, rhythmically regular materials in canon, in what might be understood as a personal response to Steve Reich’s proposal to build music from gradual constructive processes (a recording is available on Spotify, and a score is available on IMSLP). In contrast, Meadors’s piece (see above for recording) looks at (post)-minimalist possibilities decades later, bringing familiar minimalist devices like regular pulsation and gradual harmonic change into dialogue with notions of drama and contrast characteristic of Western art music in the 18th- and 19th-centuries. Harmony comes to the forefront in Amanda Feery’s Those So Moral, which constructs a strikingly fresh approach to conjunct voice-leading. The work’s voice-leading strongly references the ostensibly tonal intervals of the perfect fourth and fifth, but defamiliarizes them through the use of glissandi, close intervals resulting in beating, and klangfarbenmelodie. The concert also includes ensemble director Moon Young Ha’s (in)stillness. To find out more about Ensemble Mise-En, have a look at their website, soundcloud page, and the ample documentation of their performances available on youtube. The Center for 21st Century Music is pleased to host Hans Thomalla as guest composer this friday, March 10. During his visit, Thomalla will conduct a masterclass with PhD composition students and present a lecture on his recent works. Thomalla’s compositions foreground how musical meaning is made. Approaching music as a language of sorts, his works explore how raw, ephemeral, multi-dimensional sound comes to carry quasi-linguistic meaning. His works often examine a particular historical musical vocable from a variety of angles by deconstructing materials from past Western musics. Many of Thomalla’s works explore the dynamics of musical meaning within the context of a particular instrument’s history and culture. The beginning of his early piece wild.thing proceeds from a deconstruction of the drumset. Historically, percussion instruments in Western art music have always been the “odd ones out,” as they are unpitched while Western art music’s language revolves fundamentally around pitch. This dilemma has often been resolved by relegating the instruments to a marginal role such as time keeping, resulting in a tension between the instruments’ timbral richness and procrustean beds of musical order they are forced into. This might explain why meanings historically associated with percussion relate to this dialectic between freedom and order—from the martial associations of the snare drum, to the Utopian connotations of the climactic cymbal crash in 19th century orchestral music, to the (problematically colonialist) aura of liberated sexuality implicit in late 19th century exoticist percussion (particularly in “Spanish”-tinged works by Bizet, Rimsky-Korsakov, Chabrier, and others). Wild.thing begins from a sound object that dramatizes this tension, namely a drum solo from the Jimi Hendrix Experience’s noted live performance of the song “Wild Thing” at the Monterey Pop Festival. The drum solo, something of a coda to the song (which accompanies Hendrix as he prepares to light his guitar on fire), liberates the drums from the constraints of time-keeping, if not from regular rhythm altogether, but, at the same time, it is built from the highly ramified snare drum rudiments of the military march. Thomalla’s wild.thing takes excerpts (starting at 6:11 in this video) from the solo as the basis for the percussion parts, deconstructing them through filtering processes reminiscent of his former teacher Brian Ferneyhough. The piece could be understood as a kind of parallel universe to the Hendrix/Mitchell original, exploring what might be possible if the coda’s gesture of sonic liberation were taken as the starting point for the construction of a musical language. In reimagining their sources, Thomalla’s compositions perhaps aim less to transform found material for the sake of novelty than to open up the material's dimensionality. Wild.thing seems to imagine how its source material might take on possibilities denied in its original context—specifically, how the drum set might exist in a musical order less bent on repressing its noisiness and corporeality. The composer’s interest in historical materials stems not at all from a conservative desire to “return to the past,” but instead from a desire to imagine the past as open, and to better understand its bearing on the present, thereby making possible alternative futures. From this standpoint, Thomalla’s compositions might be understood less as closed masterpieces and more as catalysts for a broader critical practice of listening, to be applied potentially to any relevant piece of music. At the Center, we greatly anticipate discussing these issues with Thomalla later this week. His website is here, and his publisher’s website is here. Below is a video of a more recent composition, Albumblatt.